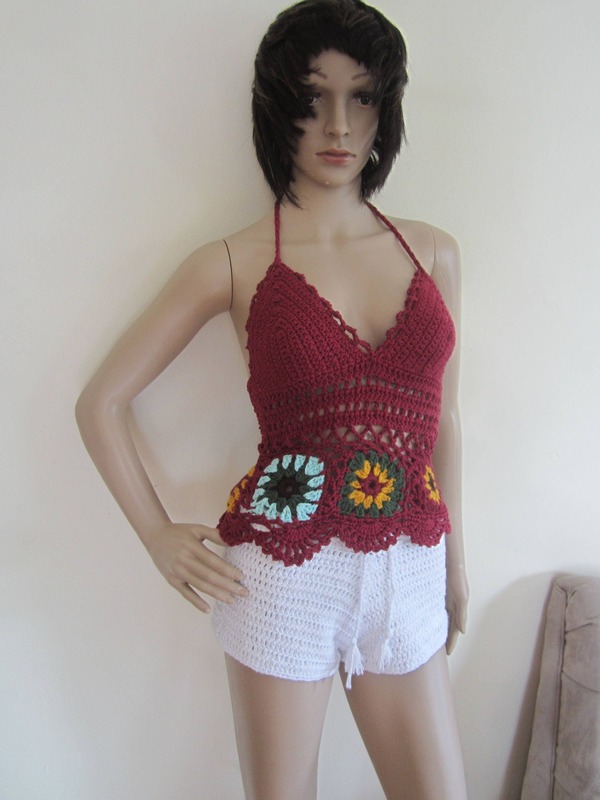 This is a Burgundy boho festival halter top made using 100% cotton yarn. 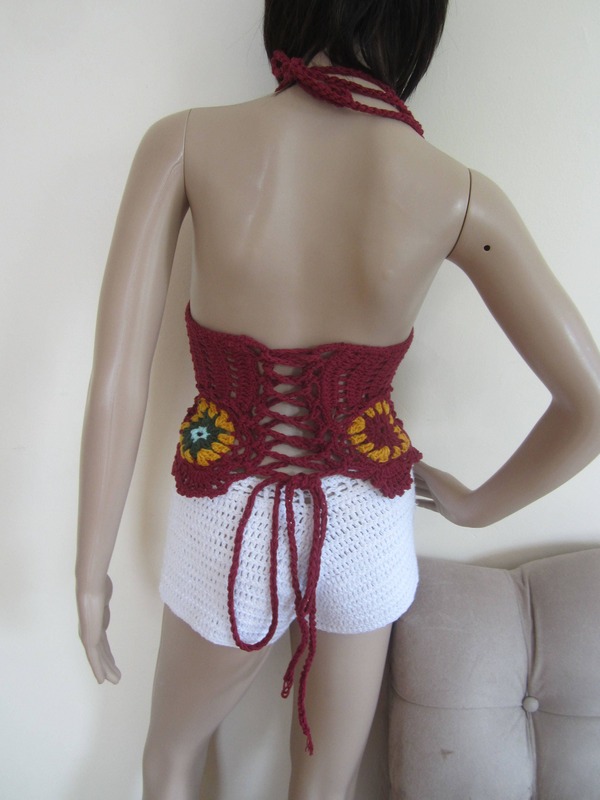 Top is longer than my other festival tops perfect for someone who wants more coverage around their belly. 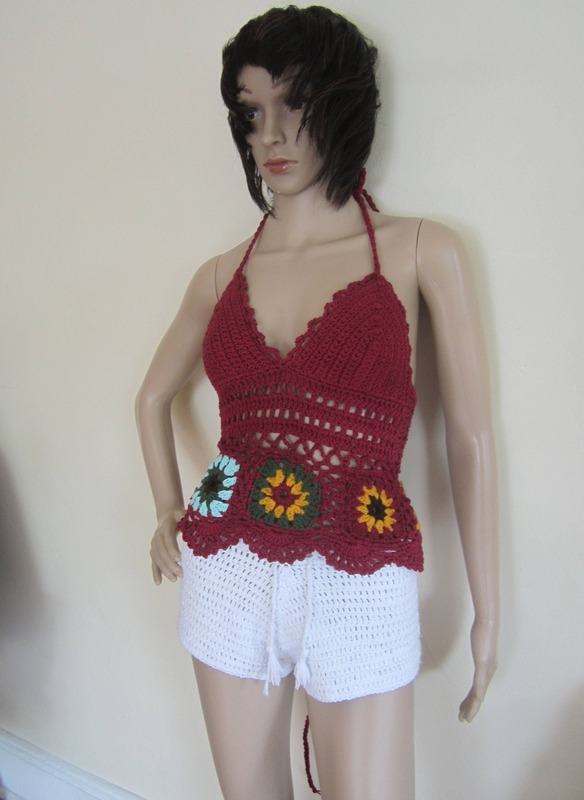 Its perfect for festivals, summer days, beachwear, day or night out on the town. 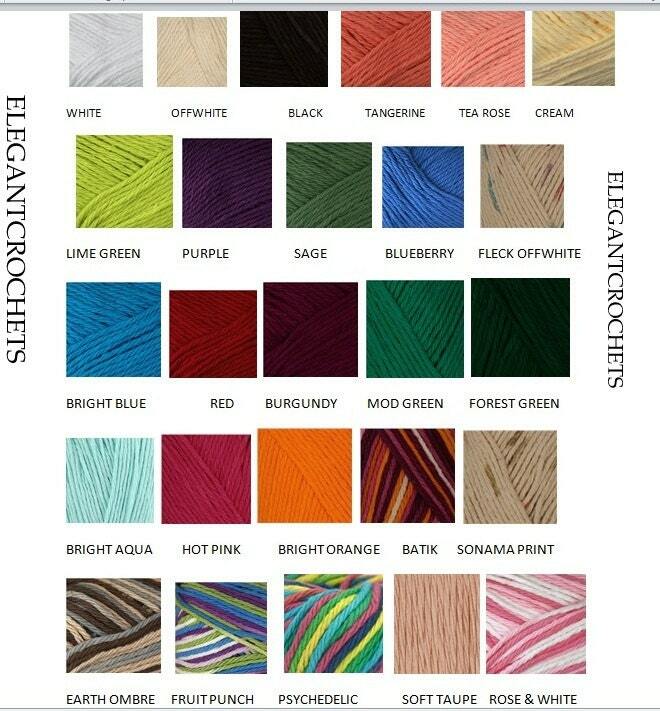 Top features motif edging, lace up back and tightly crocheted bodice area for maximum coverage.